Webinar with panel discussion on February 25, 2016 at 2:00 PM EST.  Join RSPA’s EMV Committee members as they discuss the state of US EMV Adoption, nearly six months after the liability shift date. This webinar will include a lively panel discussion, moderated by EMV Committee Chair Beatta McInerney (ScanSource), and featuring committee members Matt Inan (e-Nabler); Jeff Judas and Gabriela Loayza (Discover); Allen Friedman (Ingenico); Ray Moorman and Chuck Danner (Vantiv). After registering, you will receive a confirmation email, containing information about joining the webinar. 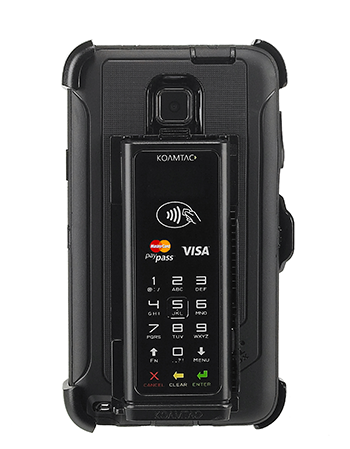 The partnership between the KOAMTAC KDC500 mPOS companion and the eMobilePOS® software application will provide retailers with a seamless solution for both payment and inventory management. 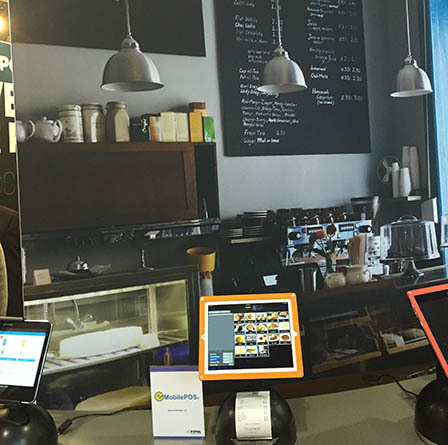 eMobilePOS provides full POS features in combination with a fully integrated customer engagement platform, now available for Android, Apple iOS and Windows with sweeping presence at Retail’s BIG Show in 2016. NEW YORK – Jan. 17, 2016 — e-Nabler Corp., developer of the award-winning eMobilePOS® software, today announced that it will be demonstrating its turnkey, EMV-ready POS software, featuring a fully integrated customer engagement platform and electronic wallet in a total of nine partner booths at the Retail’s BIG Show (NRF) in New York. 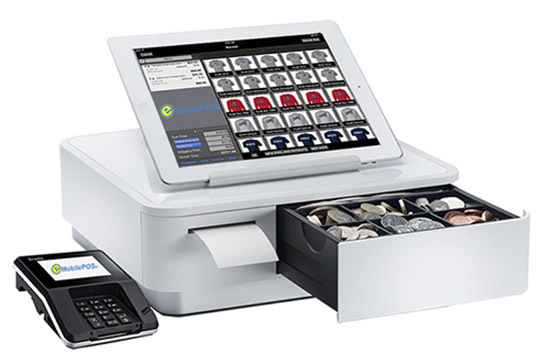 eMobilePOS is a turnkey POS solution that offers all the features of legacy POS systems that many large retailers use, but at a fraction of the cost, and with a modern tablet and handheld interface. With support for Android, Apple iOS, and Windows, eMobilePOS provides retailers the freedom of choice. eMobilePOS can easily be configured for any type of user scenario such as general and specialty retail, quick service hospitality, restaurants, venue-based merchants, and field sales. Multi-OS support, broad selection of certified POS peripherals including EMV chip and PIN readers, and the ability for merchants to work with a payment processor of their choice are some of the other features that set eMobilePOS apart from other POS solutions. In addition, eMobilePOS offers plug-and-play integration with leading business systems such as QuickBooks, Sage, Microsoft Dynamics, Oracle, SAP, and Retail Pro. eMobilePOS is sold as software-as-a-service at a low monthly fee alleviating large upfront license fees and investments in PC servers. eMobilePOS will be on display in multiple partner booths, including Armor Active (# 4542), ELO Interactive (# 1302), Honeywell (# 1543), Partner Tech (# 711), KOAMTAC (1311), Powa Technologies (# 924), Samsung Electronics (# 2062), SOTI (# 1343), and Star Micronics (# 3117). e-Nabler Corp., developer of the award-winning eMobilePOS® software, today announced a strategic partnership with Millenium Micro Group, the largest technology reseller buying group in Canada with over 250 members. The agreement enables Millenium Micro Group to offer eMobilePOS to all its members, serving the IT needs of thousands of small and medium-size Canadian businesses and government institutions. Join eMobilePOS at the Retail’s BIG Show, January 17-19, 2016 at the Jacob K. Javits Convention Center in New York. We will be demonstrating the award-winning eMobilePOS software, a full-feature point-of-sale solution for Apple iOS, Android, and Windows. Retailers can claim their NRF 2016 free expo pass. Meet eMobilePOS at the IAAPA Attractions Expo, 17-20 November in Orlando to learn more about the benefits of using tablet-based and mobile POS to sell tickets, concessions, and souvenirs. Find us in the Star Micronics’ booth #4663. Visit iAAPA’s website for more information. At BlueStar’s VARTECH 2015, Matt Inan was on a panel that discussed tech trends VARs should support to help their merchant IT clients increase customer engagement. Business Solutions Magazine captured the entire list of trends in this article. 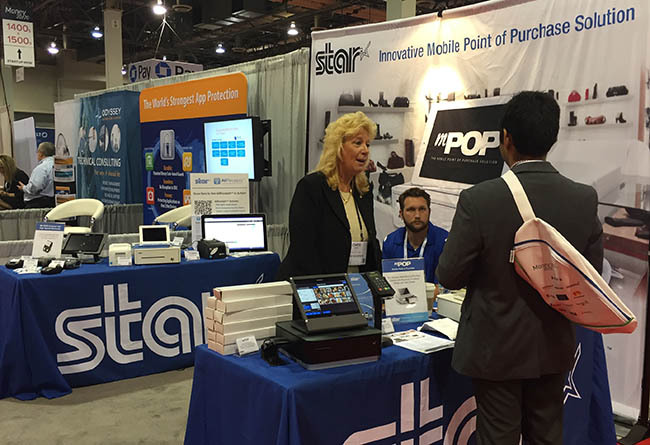 It was a busy week at Money 20/20, meeting both old friends and new contacts. eMobilePOS was represented in several of our partners’ booths, including Star Micronics, PowaPOS, Handpoint, and AnywhereCommerce. Transitioning to a new POS system does not need to be scary. Join this webinar with eMobilePOS and Archelon Enclosures to see how easy and affordable it is to replace your customers old, clunky POS system with a modern low-cost solution.